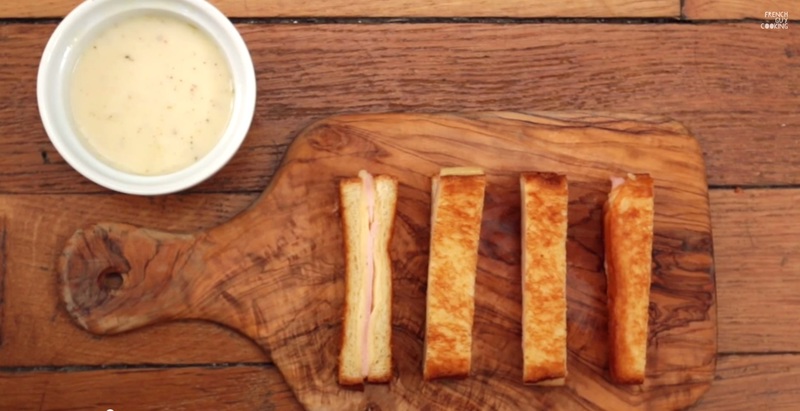 One of the most iconic snack of the French cuisine must be the Croque Monsieur: this sandwich is crispy on the outside and divinely melty in the inside and can be prepared in well under 10 minutes, which is quite unusual for a French dish. It’s something you can put together when you’re in hurry or when you’re in need of a quick bite of comfort food. It’s literary just matter of sandwiching a slice of good quality ham (higher welfare pork is strongly recommended) between two slices of ooey gooey cheese. However you could bring it to the next level with my cheaty and easy twist on a luscious white sauce a.k.a the Béchamel sauce (check out the recipe here). Preheat a frying pan on medium heat. Melt one tablespoon of butter and brush it on one side only of both slices of bread. 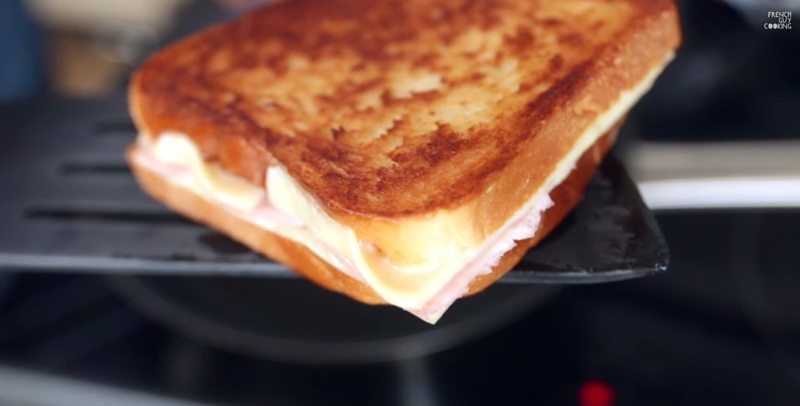 Place one of your slices butter-side down and place on the other side one slice of Comté cheese, then one slice of ham, than another slice of cheese. Place on top the other slice of bread, this time butter-side up. Place the sandwich in the pan and cover loosely with a sheet of aluminium foil. Don’t cover with a lid otherwise the steam will make it soggy. On medium heat (if higher it will burn) fry for 2 minutes per side, checking occasionally. At the end it should be golden and crispy. 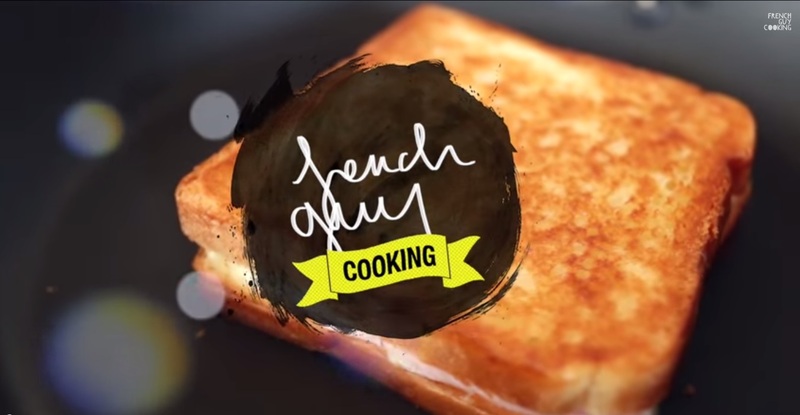 To serve it the Parisian way spread the Béchamel sauce on the top of the sandwich then broil it until golden brown but in the end you will have a soggy sandwich. To keep the crunchiness serve the Croque Monsieur cut into strips, pour the Béchamel sauce in a ramequin, dip the strips into the sauce and enjoy!